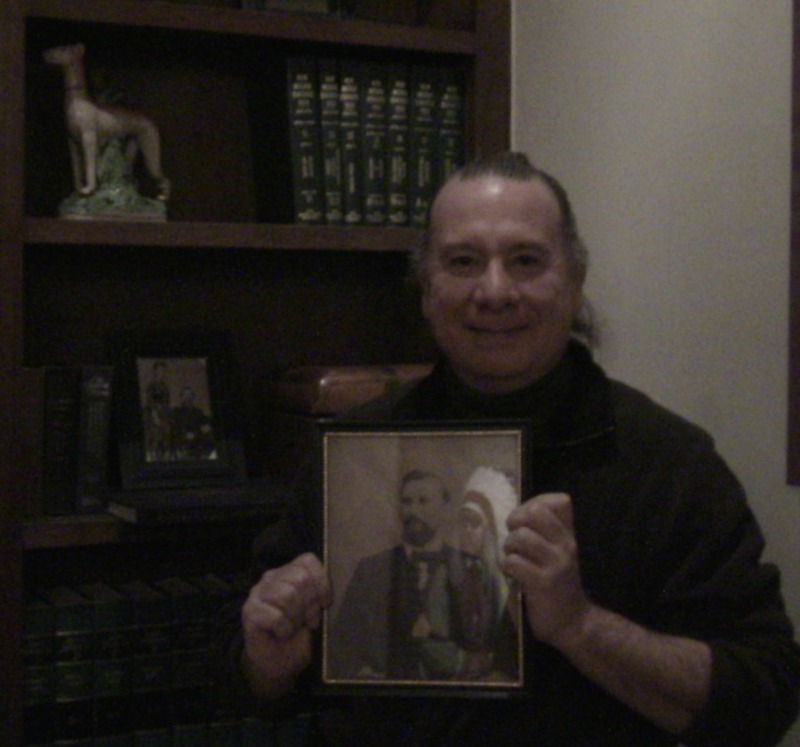 GROUP, COUPLE, OR SOLO TOUR --- W/ ALLAN----- YOU SEE SANTA FE ---------- HISTORY OR GHOST TOUR ------ @ A COMFORTABLE PACE! 505-986-5002 or 505-231-1336 ------ DAY OR NIGHT --- PRIVATE TOURS-----------------------------------------------------------------------THESE PEOPLE HAD FUN! LETS GO TOURING! MANY PEOPLE HAVE ASKED ME TO ELABORATE ON THE GHOST THAT HAUNTS LA POSADA---HERE IS THE "SKINNY"
DEPENDING ON THE TOUR--- Allan's groups pass by the hotel or the tour is ended in front of the resort so that the thirsty trekkers can have a cold one in La Posada's fantastic--world famous bar. The following info is from Allan's investigations and tours------(THE GHOST MOTEL)---La Posada, is a premier hotel resort, it is also home ot the ghost of Julia Schuster Staab, who left this mortal coil in a sinister manner. The main building which used to be the Staab mansion is loaded with paranormal energy. 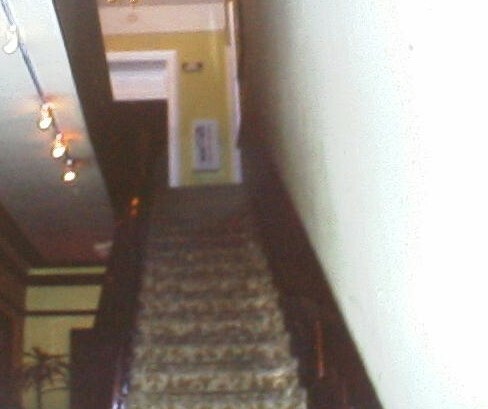 A photo taken on one of my tours, is that a ghostly cloud atop the stairs? 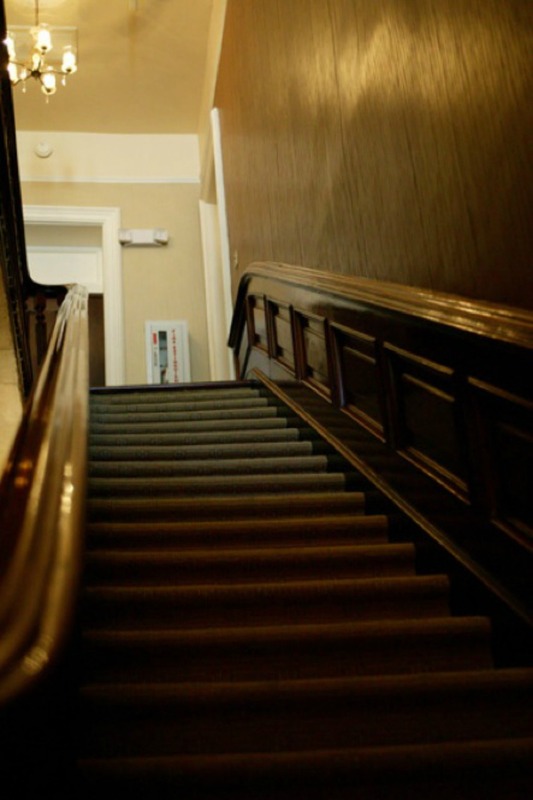 Upstairs in rooms to the left of the stairs is where Julia died in May 1896. Skeptics will say the ghostly cloud is the result of a dirty camera lens. NAY! NAY! NAY!! !------A ghost has been seen or felt, and even photographed in this area since the old mansion became a hotel in the 1930s. The Weird Beards call the property-- the ghost motel. Compare the this left photo with the below photo. Below are a series of photos, shot outside the entrance to to Julia Staab's old room (JULIA STAAB SUITE). 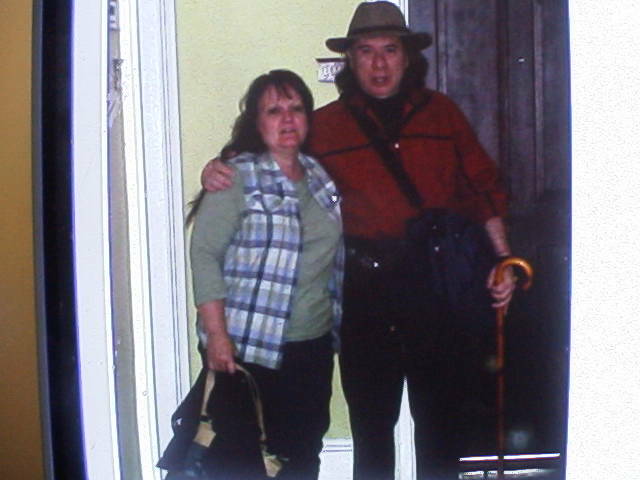 Notice the orbs close to my cane. Jesica (lady on the tour), took these photos of Allan Pacheco and her mother. 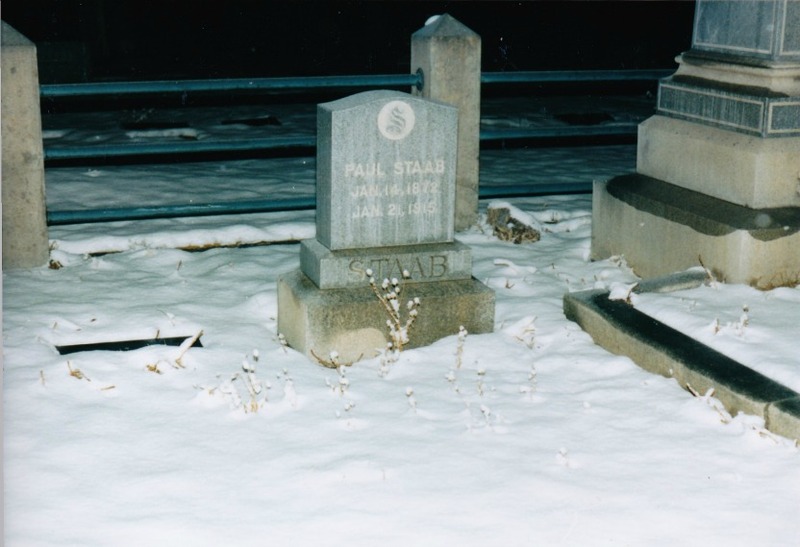 These orbs were not noticable, but they came out on film. 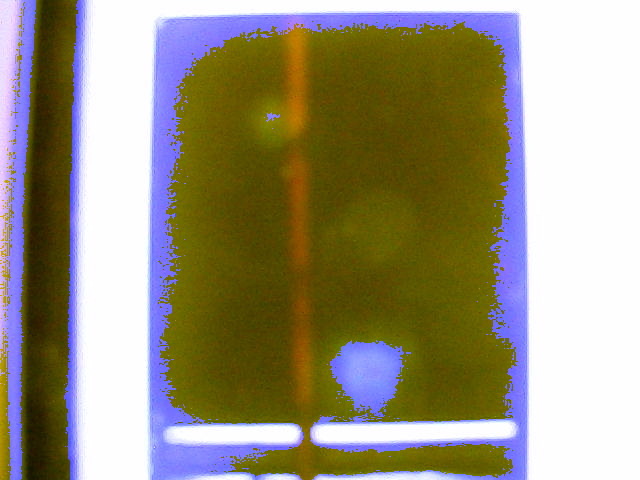 The last two photos (AFTER the blowup photo) were flooded with blue and green light to give the viewer a different look at the orbs, and their light. Jesica who took the photos and others, was one of those special people one gets on a tour, who has a feel for the paranormal and studies the metaphysical as well. When you go on one of Allan's tours, take a camera, you never can tell. THIS IS A SNAPSHOT OF THE OLD HAUNTED STAAB SUITE-- WHERE JULIA PASSED ON--HER DEATH IS DISPUTED AS IN HOW IT HAPPENED. 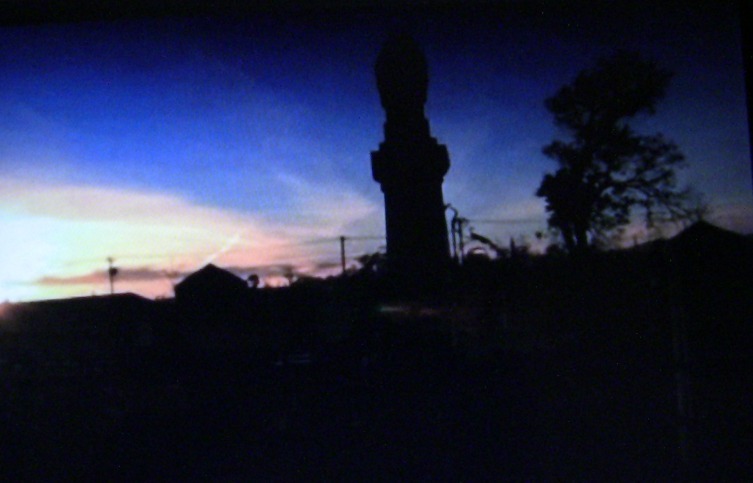 SHADOW CHASERS AND PSYCHICS CLAIM THAT JULIA WAS MURDERED. THE ABRAHAM STAAB PARTISANS (ABRAHAM WAS HER HUSBAND) CLAIM SUICIDE. HISTORY HAS IT THAT ABRAHAM STAAB WAS CAPABLE OF ANYTHING. JULIA's CUNNING HUSBAND RAN THE "SANTA FE RING" WHICH WAS A CABAL OF BUSINESSMEN THAT RULED THE TERRITORY OF NEW MEXICO AS IF IT WAS THEIR KINGDOM. ABRAHAM WAS THE AL CAPONE OF THE TERRITORY OF NEW MEXICO, OR THE ARISTOTLE ONASIS OF SANTA FE. JULIA WAS IMPRISONED IN THE ABOVE ROOM FOR 5 YEARS BEFORE SHE DIED. 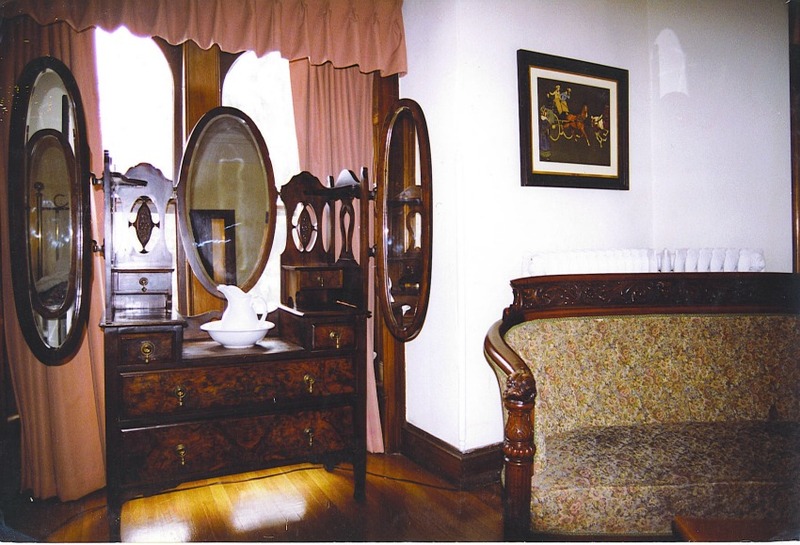 SADLY THE OLD FURNITURE WHICH WAS JULIA's AND IS SEEN IN THE PHOTO IS NO LONGER THERE AT LA POSADA. THIS PHOTO IS AROUND 27 YEARS OLD. JULIA's GHOST AT TIMES USED TO APPEAR AS AN ORB AROUND THE BUREAU OR AS SHADE IN THE ROOM. THIS INTERESTING PHOTO DOES HAVE A LOT OF THINGS GOING ON. IS IT PARANORMAL OR TRICK OF LIGHT? WHAT BECAME OF JULIA's OLD FURNITURE, THAT IS A MYSTERY. 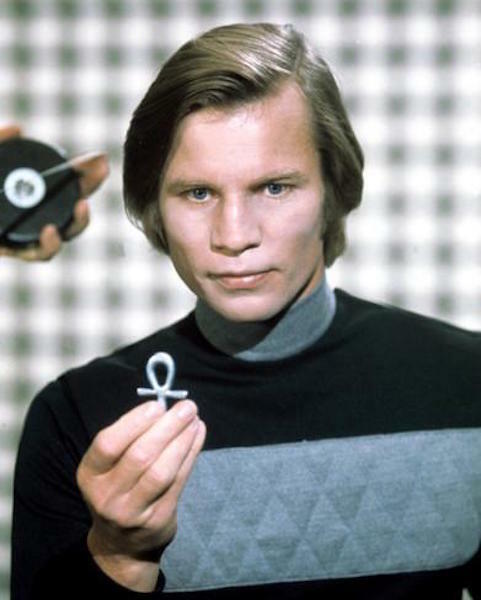 Below: a better photo of the AUNK or ANK symbol from the 1976 film "LOGAN's RUN". Notice how the symbol matches the middle mirror image. Note the AUNK or ANK symbols in the mirror as in how it compares to the above picture and then to the below pictures, what significance if any is this? 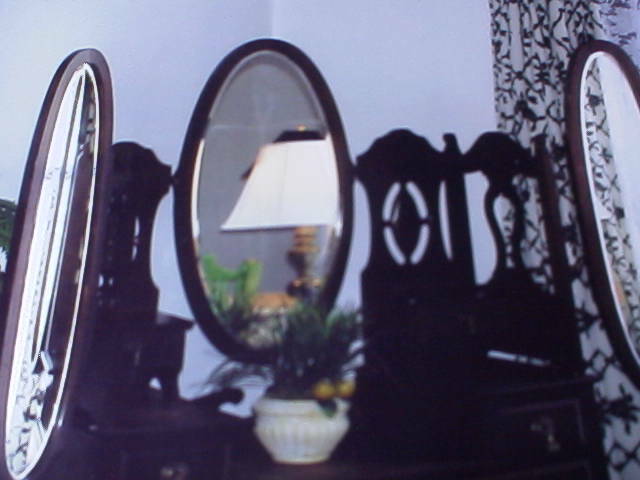 Skeptics will say it the symbol in the mirror at La Posada is a trick of light --- now note the ghost photo from Italy CASTELLO DELLA ROTTA, this ghost has a AUNK or ANK symbol... Is it an emblem for a secret society, a demonic society, or an SOS symbol? SOME GHOST HUNTERS OR PARANORMAL ENTHUSIASTS-- SAY THAT THEY CAN SEE AN ORB OR ORBS IN THE ABOVE PHOTO -- IS IT MAGNIFIED SLEET, A LENS FLAIR? 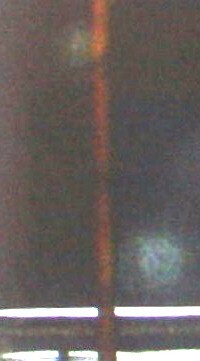 AS NEGATIVE AS I TRY TO BE CONCERNING PICTURES -- THERE MAYBE AN ORB OR OBS IN THE PICTURE. Outside of Julia's grave, Abraham's grave monument towers over every other crypt or marker. THE GHOST THAT HAUNTS LA POSADA IS BURIED HERE AT THAT OMINOUS PILAR. 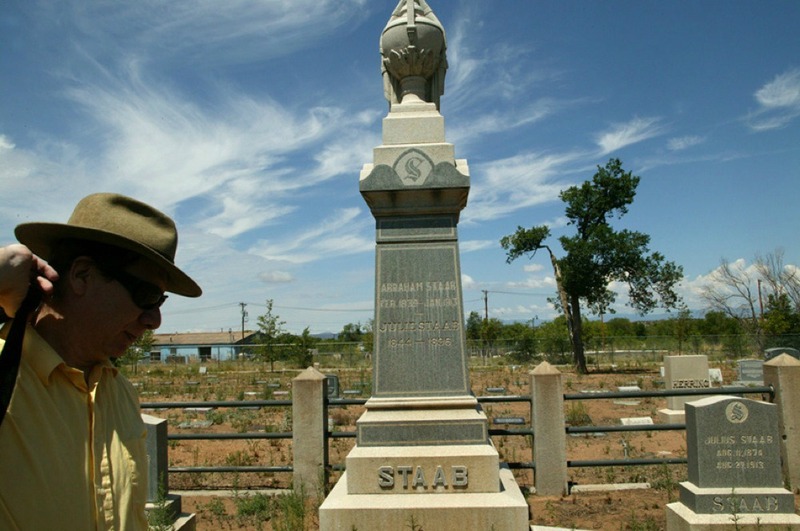 THE STAAB GRAVE SITE PILLAR MONUMENT. 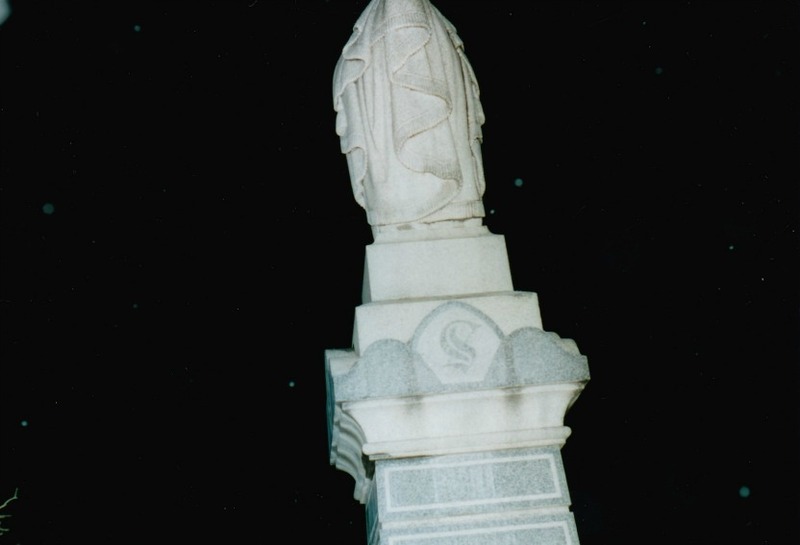 ACCORDING TO SOME METAPHYSICIANS, THE GHOST OF JULIA STAABS TRAVELS FROM HER GRAVE WHICH IS UNDER THE PILLAR TO LA POSADA. 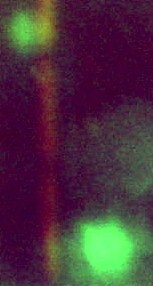 THERE IS AT TIMES, PARANORMAL ACTIVITY AT THE PILLAR. WHAT TRIGGERS IT-- NO IDEA. 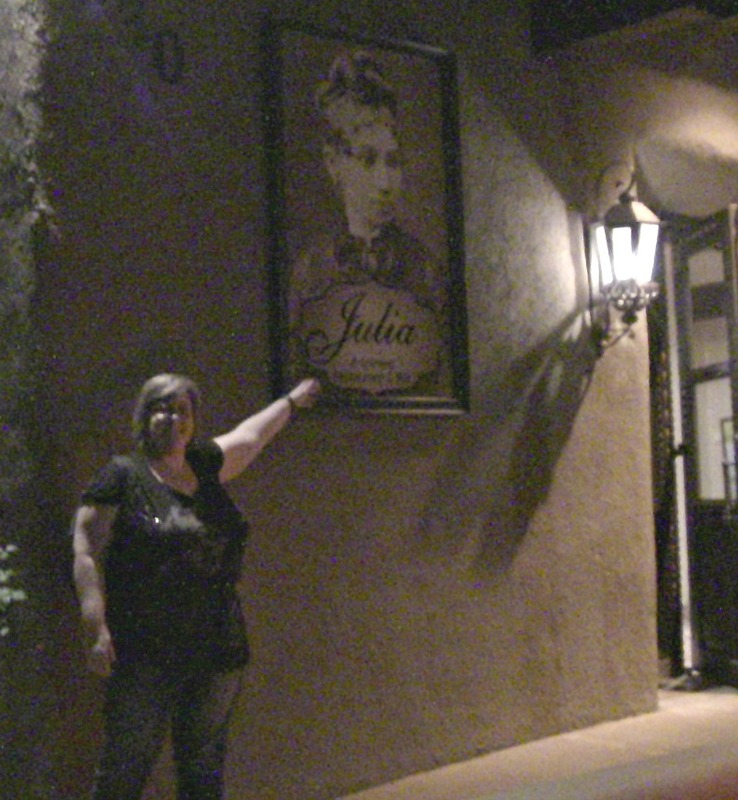 AT LA POSADA- THE GHOST OF JULIA STAAB HAS BEEN SEEN AS A YOUNG OR OLDER WOMAN. 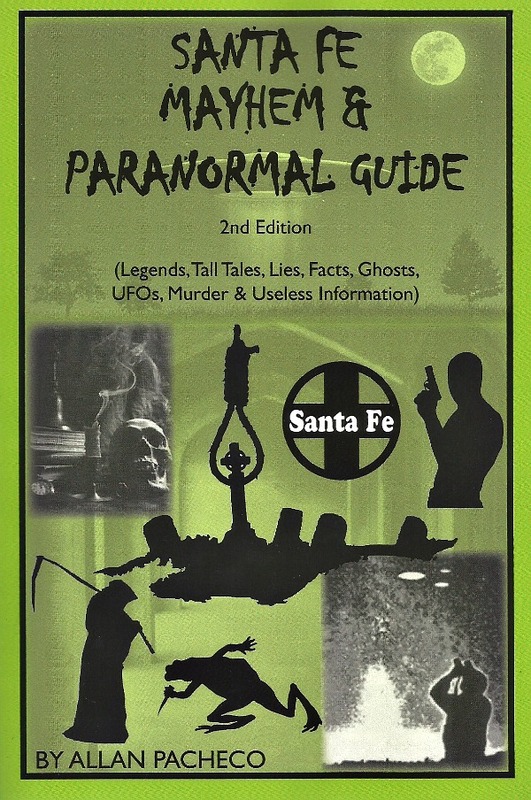 "SANTA FE: MAYHEM & PARANORMAL GUIDE" GIVES YOU THE "LOW DOWN" ON LA POSADA's TALES AND LORE. 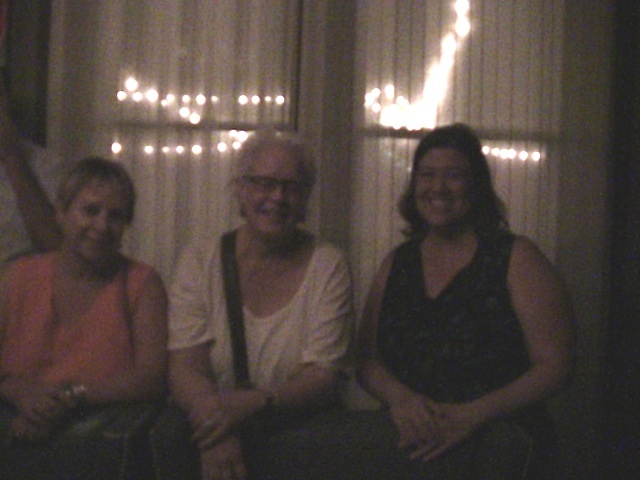 ANOTHER PHOTO OF SOME HAPPY TOURISTS--END OF THE TOUR- IN THE GHOSTLY PARLOR -EVERYTHING IS OKAY IN THIS PHOTO====ON ALLAN's TOURS ONE NEVER KNOWS WHAT WILL BE CAUGHT ON FILM! BELOW----CHUCK & JEN IN THE BAR's PARLOR ROOM AT THE END OF A LATE NIGHT GHOST TOUR. 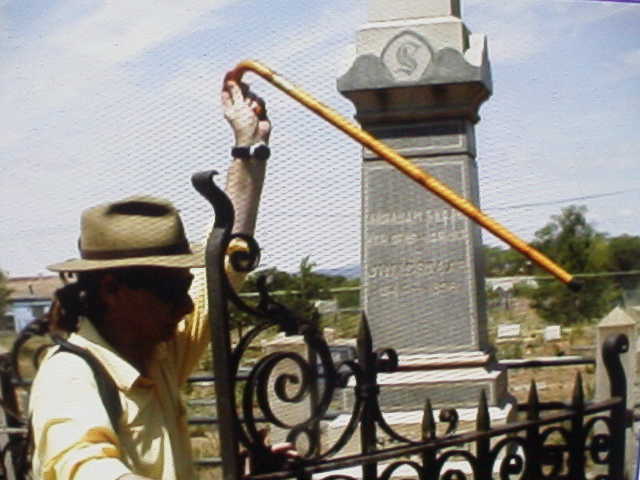 CLICK HERE MORE SANTA FE PARANORMAL & HISTORY INFO---ODD GRAVEYARD-- SANTA FE'S HELL UPSIDE DOWN AS NOTED ABOVE. WHAT IS ONE TO MAKE OF THESE PHOTOS AND INVESTIGATIONS AT LA POSADA? CIRCA 1991, THE TV SERIES-- "UNSOLVED MYSTERIES" SHOT A DOCUMENTARY ON THE LA POSADA's GHOST (JULIA STAAB), AND THE PRODUCTION WAS BEDEVILED BY PARANORMAL HAPPENINGS. 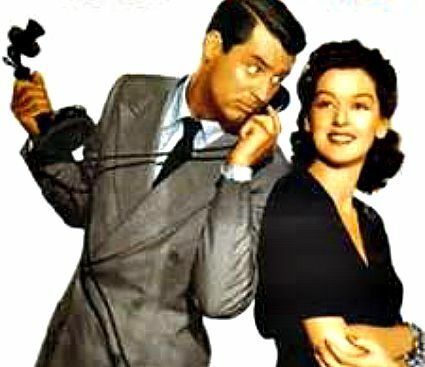 CLICK ON LEFT ABOVE WINDOW FOR SHORT DOCU. 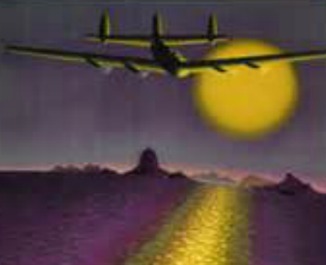 BE WARNED THE THE PROGRAM HAS A LOT OF HISTORICAL INACCURACIES, HOWEVER THE PARANORMAL ACCOUNTS ARE TRUE. ALLAN DID TRY TO EXPLAIN OT THE PRODUCTION COMPANY WHAT THE FACTS WERE CONCERNING JULIA'S DEMISE BUT IT WAS A NO GO. FOR THOSE THAT ARE COMING TO SANTA FE--- THE LA POSADA A GREAT PLACE TO HAVE A DRINK, THE BEST BAR IN TOWN. 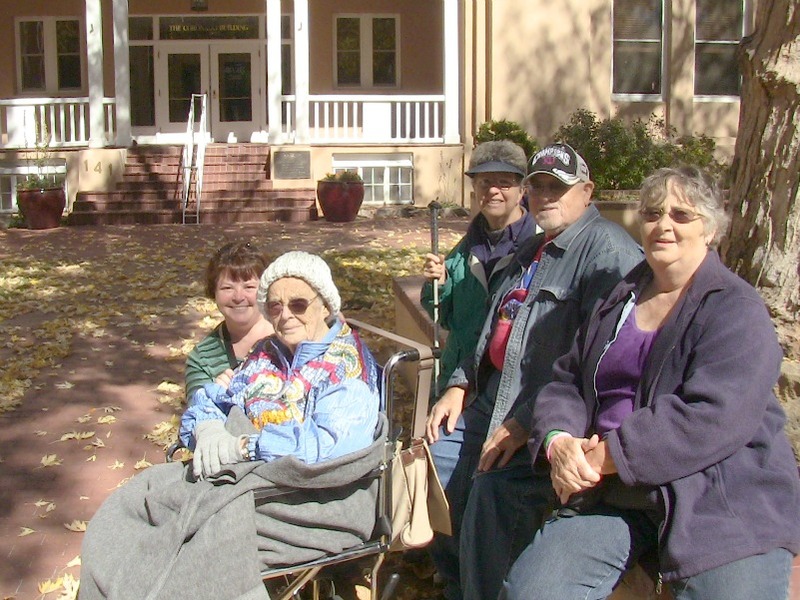 YES, SOMETIMES ALLAN'S TOURS END AT THE LA POSADA AND THIRSTY TREKKERS HAVE A BREW WHILE DISCUSSING AMONGST PALS AROUND A TABLE-- THE TOUR THAT YOU JUST WENT ON. THE ABOVE RIGHT WINDOW IS ANOTHER SHORT DOCU ON HAUNTED LA POSADA. 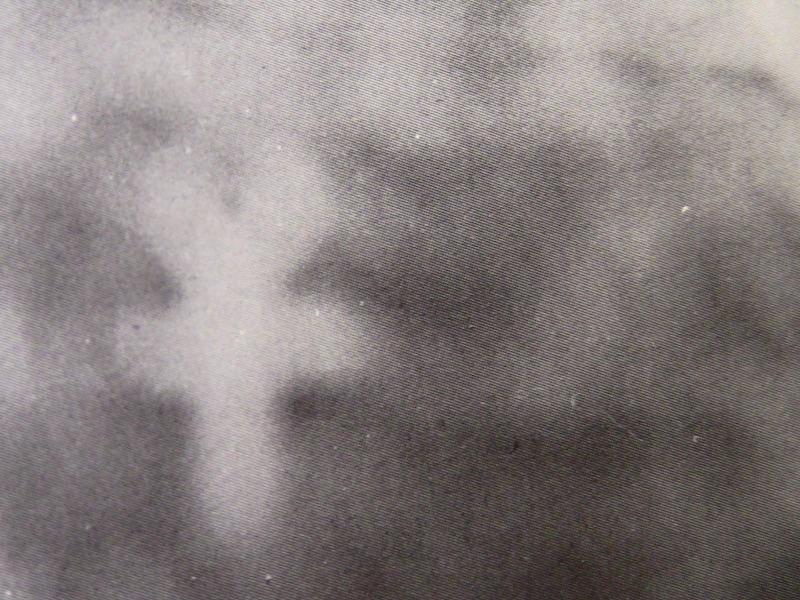 BOTH ABOVE DOCUS ADD PROOF TO ALLAN'S INVESTIGATIONS, THAT LA POSADA IS HAUNTED. 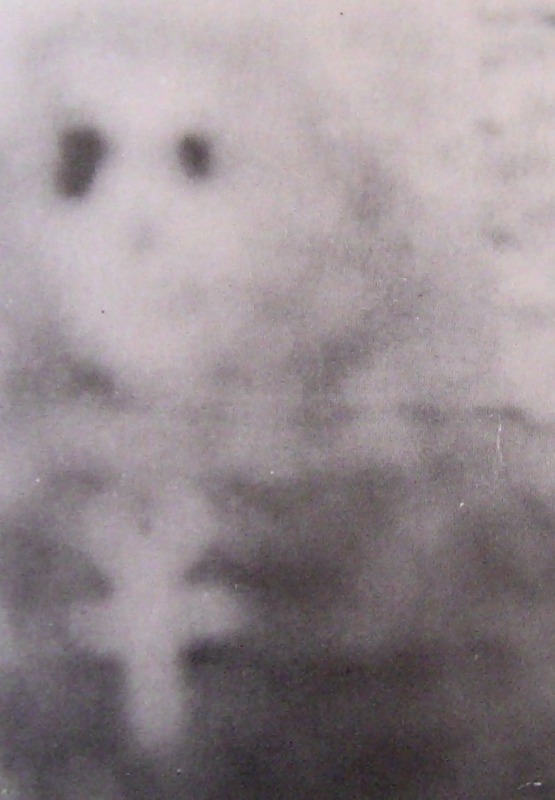 READER, FORGET ABOUT THE BOOKS OUT THERE THAT NEGATE THE HAUNTING OR CLAIM THAT THERE IS NO SUCH THING AS A GHOST AT LA POSADA…. YES, LA POSDA IS HAUNTED.